When Glenn Robinson first formulated the Blackzilians, he handed the reins over to eight-year mixed martial arts veteran Mike Van Arsdale. While Van Arsdale achieved mixed results as the head coach for the star-studded squad, he recently decided to leave the Florida-based team to be with his family in Arizona. 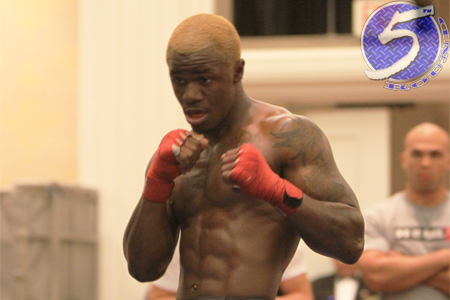 One fighter who certainly isn’t shedding any tears about Van Arsdale’s departure is UFC lightweight Melvin Guillard (Pictured). “I’m glad he’s gone,” Guillard deadpanned during Friday’s media call. “I told Glenn when I first got here, the guy wasn’t a head coach. No disrespect to coach Van Arsdale, but he was never a head coach at Jackson’s. I knew the real Van Arsdale before I got here, but everybody really started being hard on the guy, but I knew the real guy. Mario Sperry is now the Blackzilians’ new ringleader. His assistant will be mixed martial arts veteran Jorge Santiago. Thankfully for all involved, Guillard had no qualms with Sperry leading the pack. Guillard co-headlines UFC 150 next Saturday opposite Donald Cerrone.